We all know Dave & Buster’s as the grown-up arcade spot where you can relive being a little kid. 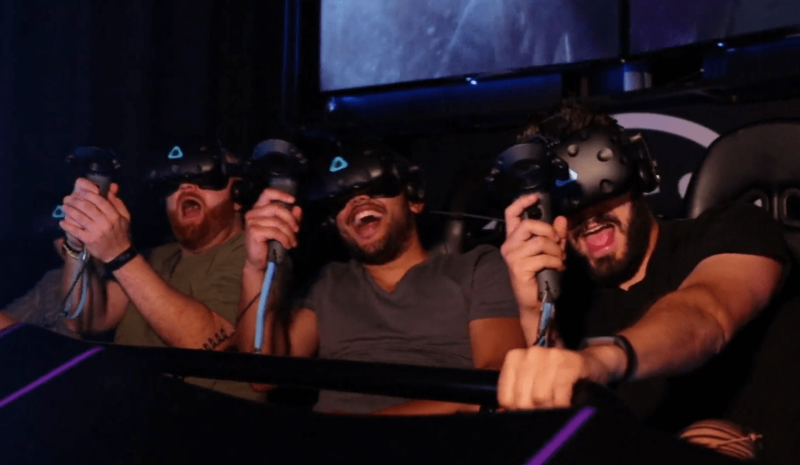 But going just for that means you’re missing out on a pretty expansive menu of drinks and eats to fill up on while gaming. The Dave & Buster’s menu isn’t necessarily new, but it went through a revamp a couple of years ago that brought a ton of items in that weren’t there before. 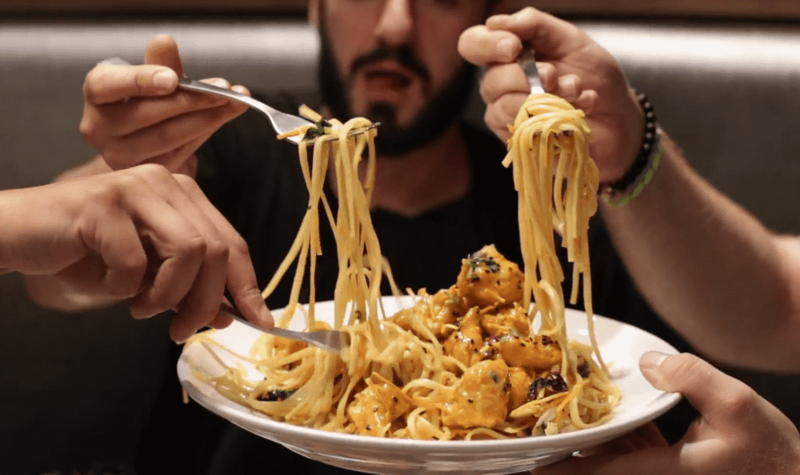 Foodbeast’s own Elie Ayrouth and Marc Kharrat joined up with FaZe clan chef FaZe Cheo at the Del Amo Fashion Center location to go try out the entire menu for themselves. 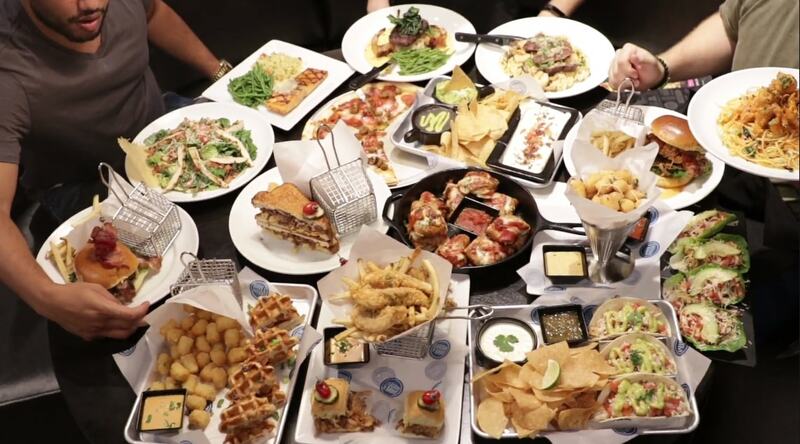 Yes, they ate through the entire menu at Dave & Buster’s in a single setting. You can see the insane feat above in Foodbeast’s latest episode of Going In. Based on what they consumed, here are some of the recommended items to try on the menu from Ayrouth, Kharrat, and Cheo. 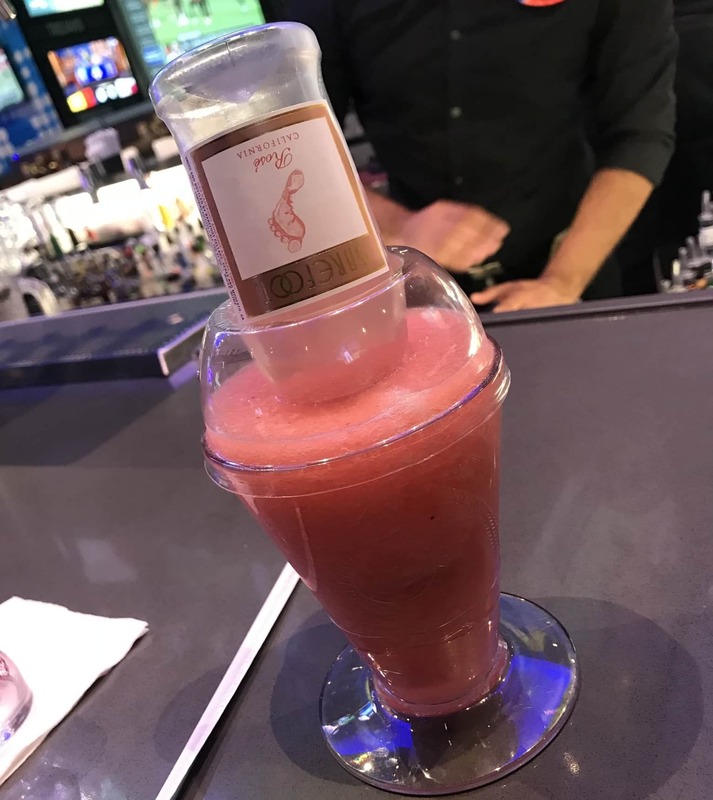 One of the drinks the squad really enjoyed was the new Frose, a blended icy beverage with strawberry puree, Absolute citron, and plenty of rose wine both in the slush and poured into it via mini-bottle. Both Elie and Marc were astounded at how good it tasted. Elie is drawn to anything that’s Instagram-appealing, so the Green Ghost Glow Kone caught his eye. 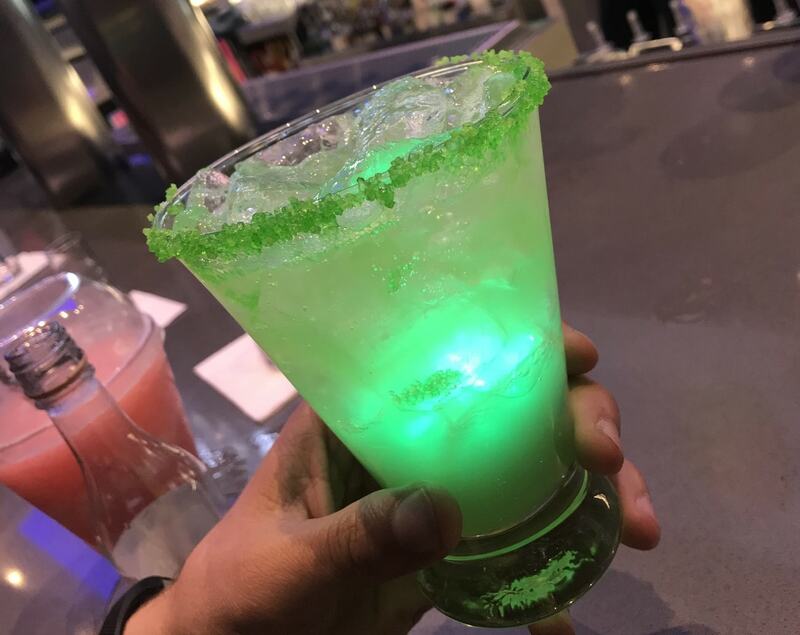 Made with Crown Royal Apple, Smirnoff Green Apple, and Monin Granny Smith Apple, the glow cube inside makes the entire drink light up like a neon sign. It tastes just as good as it looks, too. 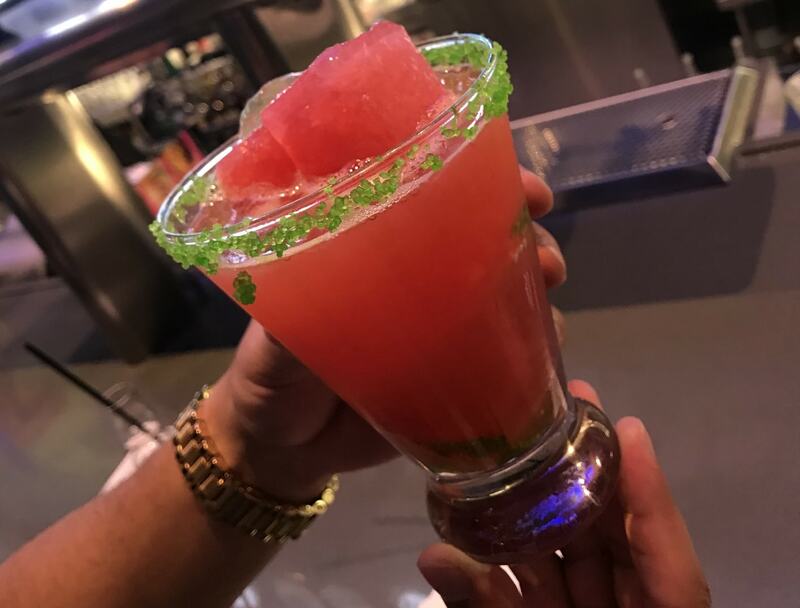 The Strawberry Mango Margarita also stood out because of its bright red color and cubes of strawberry. They keep the drink from diluting but also add a great hue and flavor to the whole beverage. When it came to the food, the whole squad slurped up the Bang Bang Chicken and Noodles pretty quickly. The combo of spicy fried chicken and peanut noodles was a favorite for all three. One of the craziest items on Dave & Buster’s menu is the Buffalo Wing Burger, which comes topped with a couple of chicken tenders drenched in spicy buffalo sauce. It brings the heat, but also provides a huge “flavor punch,” as Ayrouth described it. 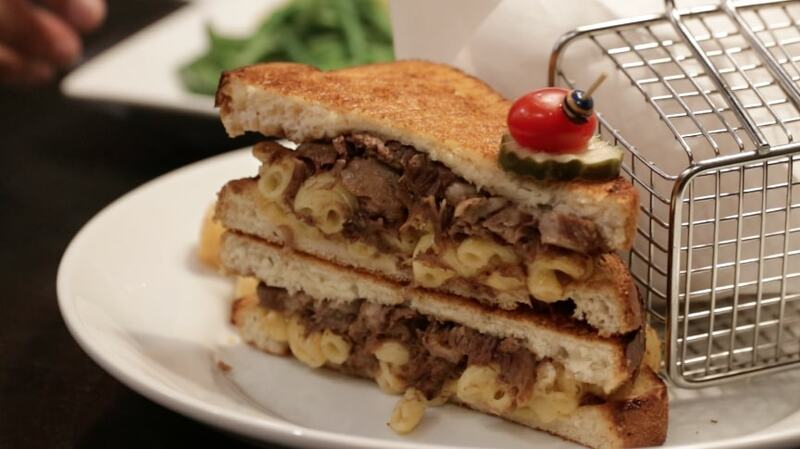 Cheo was a fan of the Short Rib & Cheesy Mac Stack, a sandwich that brings the two together in a savory flavor bomb. It makes for a pretty comforting dish that’ll make you happy even if you’re not reeling in the tickets. Having all of the food at Dave & Buster’s is pretty convenient, since you can grub to prep for your squad’s arcade marathon or vice versa. And no matter how you do in terms of getting tickets, at least there’s good food and good times abound.